This aerial photo gives a sense of scale of the project we are reimagining as a new ecological coastline on the South China Sea in Taishan. The perimeter of the reclamation area (pictured right) is approximately 20 linear kilometers (12 linear miles) and will be the site of a new city in the future. The dark green grid pattern along the coastline to the North shows the fish farms and agricultural areas beyond. 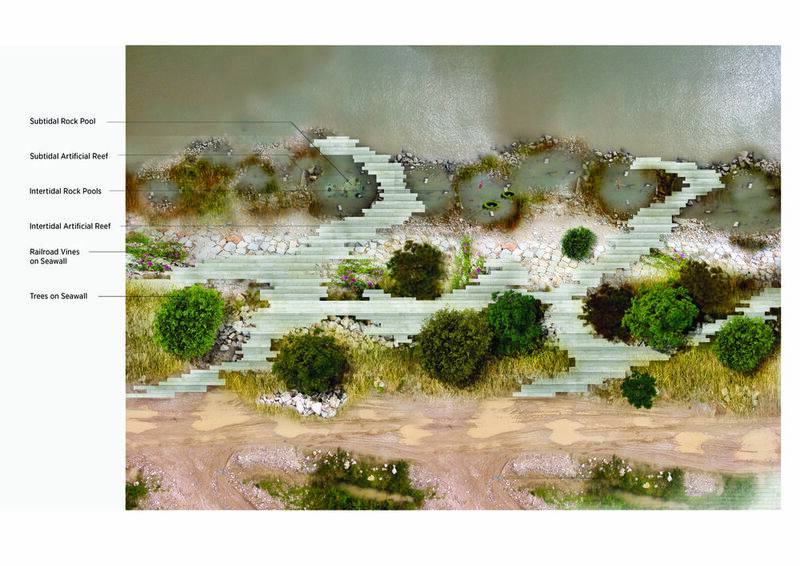 Our project will be a considerable improvement over what is typically a hard edged sea wall. 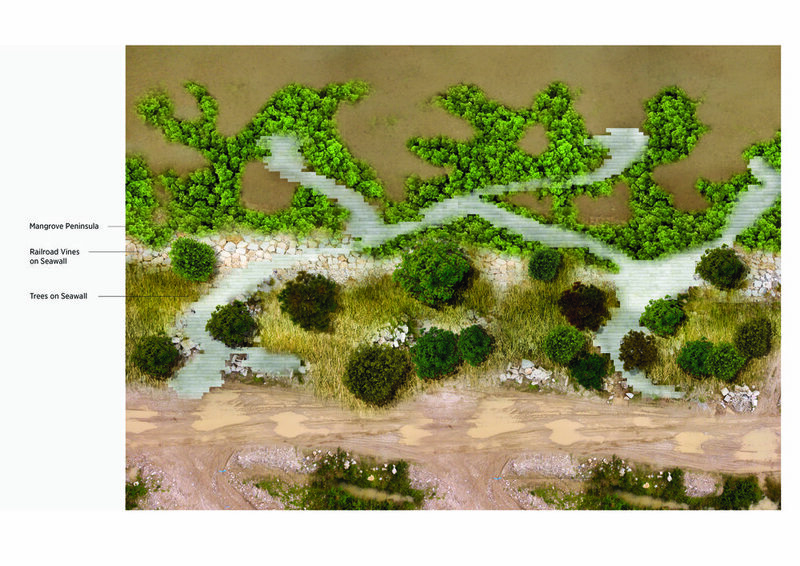 The future can respond to sea level rise with biodiverse habitats and occupiable waterfronts. For many years China has been buying Hong Kong’s construction waste. Like Hong Kong, the vast majority of this waste has been used for land reclamation. China is a large country but it lacks arable farmland, therefore many of its new coastal cities are built on reclaimed land to preserve the hinterland for agriculture. In its new environmental push, China has now stopped buying Hong Kong’s construction waste and has put a moratorium on further reclamation projects. 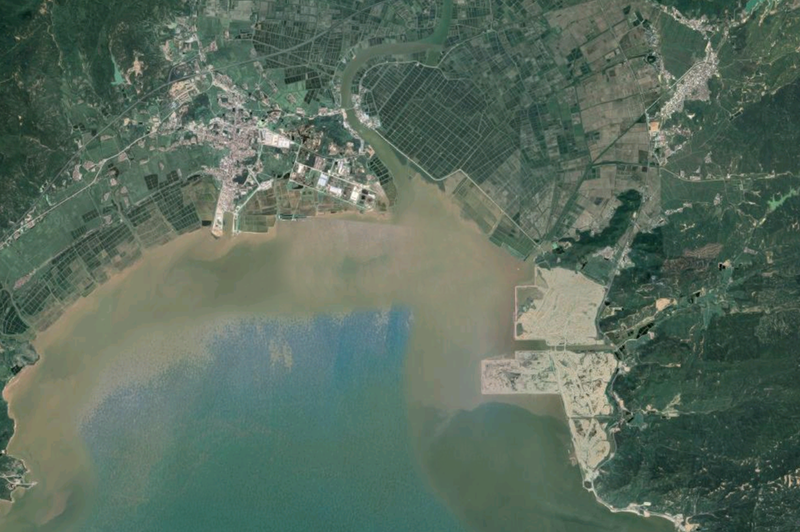 This reclamation site is all built from HK construction waste mixed with gravel and rock. If you look closely you can see evidence of this in tiles, rebar, etc. Hong Kong remains responsible for this waste to a degree and its interface with the ocean and coast.